A look at how one organization adopted BI tools to better understand its business. Readers of my books know that I’m a big proponent of case studies. Before every text, I try to enlist folks with interesting stories to tell. Sometimes I’ll do the same with blog posts—and today is one of those times. Papa Gino’s is a restaurant chain based in Dedham, MA specializing in American-style pizza, pasta, subs, salads, and a variety of appetizers. 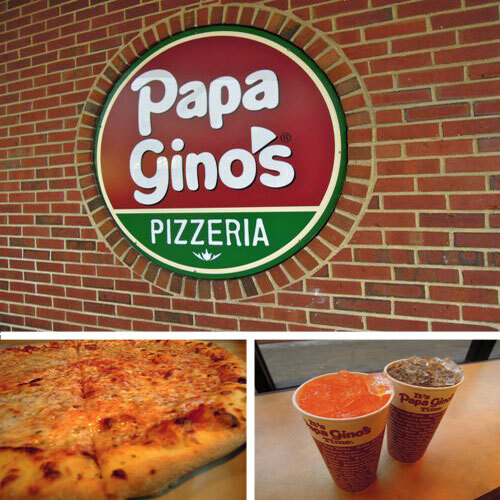 There are over 200 Papa Gino’s locations throughout the northeastern US. Like many mid-market retail organizations, it has had its challenges in getting real-time information to field employees. I recently sat down with Papa Gino’s CIO Paul Valle to talk about how his company deployed Cognos, a new business intelligence (BI) tool. The following are excerpts from that conversation. How long did it take to get Cognos up and running? Talk about the data challenges you faced prior to implementing Cognos tools. All reporting was Excel-based. It was a bit of a mess. Our users struggled with extreme complexity across multiple tabs, workbooks, and even servers. Workbooks contained the same data which was unfortunately not necessarily in agreement. We maintained a multitude of sources for data, making it impossible to bring it together effectively. Emerging technologies need not be confined to large organizations. How does the field access BI? Desktop? Tablet? SmartPhone? Current field access is via laptop for direct access to Cognos. Some report distribution happens thru email. We are peparing to deploy smartphones and tablets to field team members in the near future. Can you provide specific measures of success? Yes, customer satisfaction has improved, but can you cite specific KPIs? Once we gained visibility to our business, we were able to focus on the opportunities, the low-hanging fruit. As such, we have seen improvements in guest satisfaction. PapaGino’s shows that the benefits of emerging technologies need not be confined to large organizations. Mid-market companies can see improvements in many areas as well. I wrote this post as part of the IBM for Midsize Business program. It provides midsize businesses with the tools, expertise, and solutions they need to become engines of a smarter planet.